271/2 to be come D3 - All journeys routed via Batheaston. Improved M-F morning peak services with an earlier return journey Melksham to Bath. Weekday daytime frequency improved to every 30 mins. Through Sunday services to Urchfont restored with all services running via West Lavington in each direction and last Melksham journey extended to Devizes. Sunday timings revised. Indeed ... there are a couple of little route changes on the D2 (was 267) and significant frequency step ups on the D3 (now via Batheaston, was 271 and 272) and the D2. Careful consideration underway / discussions under way between a number of interested local parties to be making sure that all of this works well for the routes and for the wider public transport use in the areas / towns served. Just one of the things that's been keeping me entertained for the last 48 hours! And with the clocks going forward tomorrow Graham, you’ll have one hour less to fit things into your busy schedule! Taking a serious look at a couple of things on the periphery of what I'm doing to allow more time for key issues. Please, Coffee Shop members, do not take The Coffee Shop as being on the periphery! More young people use the bus than any other single group of passengers. On the age profile of users, there will be huge diversity depending on the area served and time of service. Where I live in Oldfield Park the local services can be predominantly used by students (and not just the university buses), but at some times of day, most users will be the elderly. Just out of interest, why are the number changes being proposed? (and such a radical change). What does the D represent - Devizes? Agreed on the diversity ... seniors on U1 and U2 in Bath are probably advised that they're on the wrong bus as it goes to the University . The "D" is not Devizes - note the D1, D2, D3 for three routes. With a change in numbers, some routes, and frequencies, it's unlikely that the changes will slip in quietly and there will be publicity in the lead up to, and for a period after, the changes. .... What does the D represent - Devizes? Could stand for Diamond Travelcard Holders only. In my cynicism does that make those routes prime candidates by WCC to have their subsidies withdrawn as a result of austerity cuts. OK - making this clear - you are NOT talking about subsidies on First's services in that question but about other Wiltshire Council supported services with a high proportion of senior use. The Wiltshire Council philosophy has been (above the legal minimums) to subsidise services which are used by the vulnerable and that translates quite accurately into "the elderly who have no practical alternative". So the correlation that you're suggesting between willingness to subsidies and proportion of ENCTS passengers isn't there - in fact (if anything) the opposite would be true. People in work are not regarded as vulnerable like the seniors are, and indeed past form is that subsidy is withdrawn from needed-for-work services before needed-for-senior services. The paradox here is that taking off needed-for-work services has in some instances meant a loss of employment for people, thus adding them to the "vulnerable" category. Follow up on the D1 / D2 / D3 ... having seen timetables and route details online. 2 weeks to go. Sources tell me that Faresaver are "pissed" about the changes. Not a surprise; I expect that First were "pissed" when Faresaver got involved in those routes, where First previously ran the only services, and started running buses at times designed to complete. This being "pissed" at your competitor's moved on a commercial route is, I'm afraid, a standard part of the game. I hope that the tuning of buses to compute even more closely with each other on the D2 (Frome) and D3 (Melksham) does not mean that both operators concentrate on the core profitable elements of the route(s). There may be a temptation to take out socially important elements that work when there's no competition (with through passengers using the bus even though it's a bit slow as it's the only option) but loose your through passengers to the faster competitor if (s)he exists. 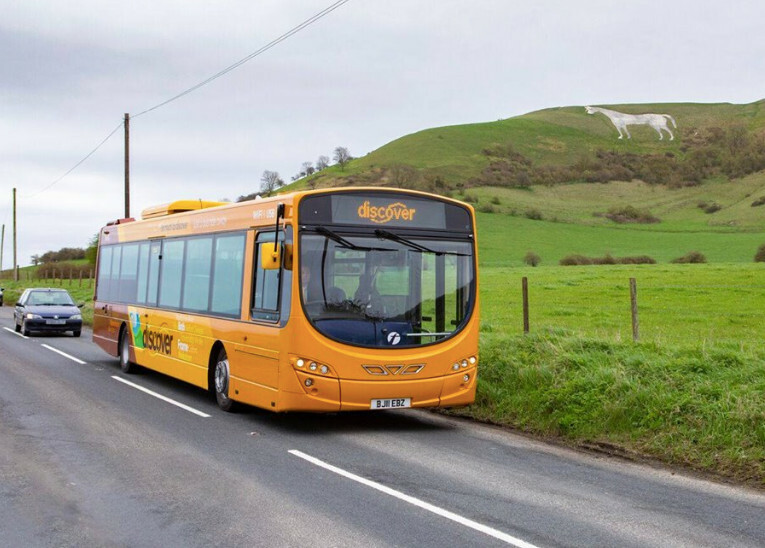 Welcome to the discover network of bus services, connecting Bath with towns and villages in Wiltshire and Somerset. Along with the new name, we've given each route a new easy-to-remember number; the old 265 becomes the D1, the 267 is now D2 and what used to be the 271 and 272 are now simply D3. The buses have had a makeover too, with a smart new look on the outside and more modern interiors. 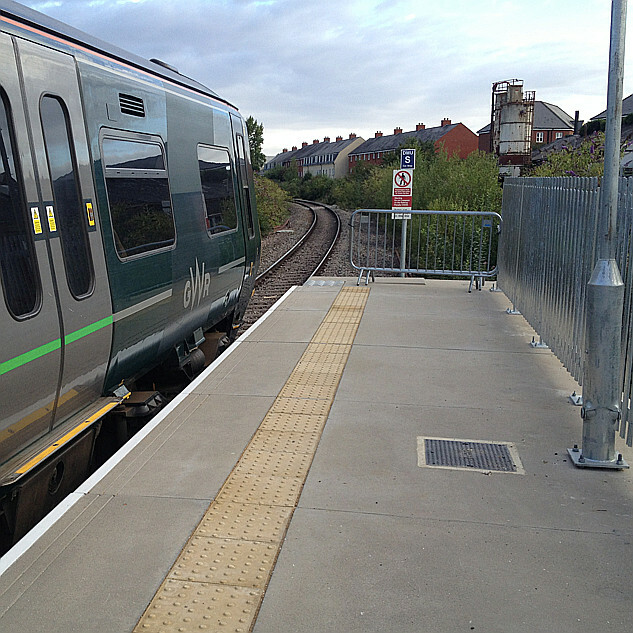 We've also equipped them with free WiFi and USB charging points, so you can stay connected on the move. Depending on where you are travelling the Bath & Bristol Outer Zones or West of England tickets will offer you the best value for money. Young people (16-21) and students (of any age if in full time education) can get up to 30% discount on all tickets if they have a First photo ID pass or student photo ID. Children aged 5-15 can get up to 50% discount on all tickets and children under five can travel for free with each fare paying adult/young person/student or concessionary pass holders. The D represents Discover. This Bus Queen had a part in choosing the new brand name. First bus were looking for a new brand name at a customer panel meeting that I attended & I suggested Discover. My main reasons behind the name was that Frome has a Discover Frome website. The discover name will also tie in nicely with their existing Xplorer fleet after all what do you do when you explore you Discover. Hope you all love the new brand name as much as me & First bus. I am also pleased to see that they have upped the frequency of buses for Frome. They have also given us a bus back from Sainsburys to one of our large housing estates. I cant wait to see this posh new yellow bus coming through Frome soon. I am sorry but the name of the service is immaterial to me. When I use a transport service I want to go from A to B at a reasonable time, in reasonable comfort at an affordable fare. Once on it, that's fair enough. A branding helps significantly with the marketing ... helping you (and others like you) become aware of and be reminded about the service from A to B and encouraging more people to try it. We have issues in these parts that public transport use is not as great as perhaps it should be, and promotion is welcome!